We’re going to go out on a limb here and assume that you aren’t a member of the unlucky crowd that has to make a sudden decision on furnace replacement or installation. Wherever you are, we hope it’s not 12 degrees outside and your heater just died. After all, a choice that will affect the next 20 years or so shouldn’t be made in an instant, right? But knowing when to pull the plug can be an overwhelming and complicated decision to make. 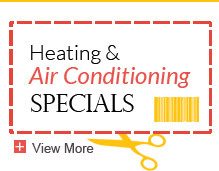 Having serviced ailing furnaces for over 100 years, we want to help clear things up for you. Below, we share all of the warning signs, failures, and considerations we’ve gathered over the years so you can decide if it’s time to replace your furnace once and for all. There’s no getting around the fact that virtually everyone will need to decide on when to replace their furnace at some point in their lives. But, please, don’t wait until the last frozen minute. Age has a destructive effect on everything from hips to heaters. According to the U.S. Environmental Protection Agency, if your heat pump (the unit that circulates the warm air) is inching up in years, you should start looking at furnace replacement and installation options. If you’ve got the dancing thermostat syndrome (you program one temperature but get another), chances are it’s your furnace failing rather than the thermostat messing with your mind. Despite automatic settings, if your furnace is faulty, it can’t keep up with your heat demands. The average life expectancy of a brand new furnace is 20 to 30 years. However, older models may only last 15 years. If your furnace is pushing 15 years old, it may be time to consider a replacement. Not sure how old your furnace is? Check for a pilot light as units that use them are often over 25 years old. Not only are older furnaces nearing a breakdown, they are also probably only 60-70% efficient. This means that 30-40% of every dollar you spend on fuel disappears out the exhaust pipe or through the ductwork. See Also: How to Extend the Life of Your Furnace. You might really enjoy chatting with your furnace repair expert, but if you have to pay for their company regularly, it may be a sign that your furnace is on the way out. Start thinking about whether furnace replacement would be worth the investment when you add up your repair bills. See Also: Furnace Maintenance Tips for Longer Life and Efficiency. We actually believe the old adage “children should be seen and not heard” applies to furnaces (although “out of sight, out of mind” works perfectly, as well). When your unit starts making groaning, clicking, banging, or popping sounds, or your blower stays on incessantly, the end may be nigh. For detailed diagnosis, check out these eight common HVAC noises and what they mean. Older furnaces can often suffer from cracks in the heat exchangers. This can lead to noxious fumes being circulated through your house, causing headaches, nausea, and general malaise. If this is happening, air out your home and contact us immediately. A faulty furnace isn’t just a cash burner, it’s also a potential source for serious injury to your family. Before you fire up your furnace, consider having a Minneapolis furnace repair expert come out to determine whether you need to invest in repair or a whole new install. Your furnace can be cycled on and off up to 10,000 times in a year. After heavily repetitive cycling for at least a decade, your furnace will start to show its age. The best fix for an aging furnace is to consider purchasing a new furnace sooner rather than later. A gas furnace heat exchanger is heated by a blower fan from the furnace. The heat blowing over the warmed chamber funnels the heated air throughout the house and draws the combustible elements out through the chimney. The process of heating and cooling causes the heat exchanger to expand and contract, often causing another reason for furnace failure: heat exchanger cracks—a problem that calls for immediate furnace repair. 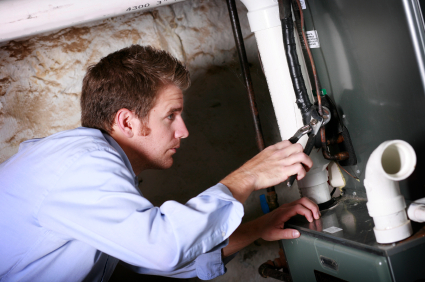 Arrange for a furnace repair specialist to inspect your heat exchanger and get your furnace back up and running. The pilot flames in your furnace emit a powerful combination of carbon monoxide, nitrogen oxides, sulfur dioxides, and water vapors. This supply of moisture and acidic gases corrodes metal heat exchangers and causes rusting of welded parts, the third leading cause of furnace failure. This is yet another reason to consider installing a new furnace, especially if yours uses a pilot light, which can be a destructive, rust-causing element in older units. Many manufacturing mistakes have resulted in massive recalls. For example, Carrier’s use of polymer (a plastic substance) when attaching fireboxes in the heat exchange system caused so many furnace failures the company paid $10 million to settle a class action lawsuit. However, furnace installation problems such as undersized ductwork, which causes more wear and tear from elevated temperatures, can also end a furnace’s life prematurely. 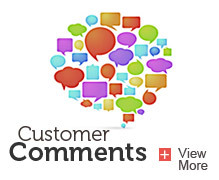 Check to see if your furnace model was involved in any product recalls by contacting us. Life without a furnace in Minneapolis is unthinkable. No matter who you are, it’s important to have a functioning furnace to keep you warm and safe in the winter. But buying a new furnace is an expensive investment, so it’s important to be aware of all of your options. Is Your Furnace Outside of Warranty? Most furnaces come with a 10-year parts limited warranty. This means that if your furnace is more than 10 years old, it’s probably outside of warranty. Furnace manufacturers also offer extended warranties, so check your paperwork to see if your warranty is still valid. If your furnace is still within warranty, contact the dealer that you bought the furnace from. If the dealer that you bought the furnace from is no longer available, you can reach out to any local HVAC company that sells the brand of furnace that you own to find out which repairs are covered under your warranty. Has a Professional Inspected Your Furnace? Professionals who work with furnaces every day will have the best idea as to whether or not your furnace needs to be replaced. When you schedule a furnace installation visit with us, an experienced technician will visit your house, appraise your furnace, and let you know if it is worth buying a new one. They can also inspect your home in order to determine which type of furnace would be a good fit for your house. Keep in mind that if you walk into an appliance retailer and ask for furnace advice, the salesperson may simply encourage you to buy a new model since their job is to make sales, not to conduct repairs or home visits. The most popular type of residential furnace is a natural gas furnace. Natural gas furnaces cost between $2,500 and $10,000 to purchase and install. Natural gas furnaces are a popular choice because they are more energy efficient than oil and electric furnaces. New electric furnaces have a smaller price ranging, usually running between $1,000 and $2,500 to purchase and install. However, the cost of running an electric furnace is typically more than running a gas heater, so keep your utilities budget in mind before purchasing an electric furnace. If you still aren’t sure which furnace you should buy, view our guide on how to choose between an electric or gas furnace. Furnace efficiency will play a huge part in the total cost of your new furnace. While more efficient furnaces may cost a bit more up-front, installing a new, high-efficiency furnace cuts waste down to 5%, reducing your utility bills and providing you with a reliable heating source for years to come. In addition, you may be eligible for a federal tax credit, giving you an immediate return on your investment. Look for furnaces with a high AFUE rating within your price range. AFUE is important to consider because it is a measure of fuel efficiency. Energy Star suggests that people who live in the Northern United States should invest in a gas furnace with an AFUE of 95 or higher. Oil and electric heaters tend to have lower AFUE ratings because they are less energy efficient. What BTU Rating Do I Want? BTUs are a measure of heat output. Your location and the size of your home will determine what BTU rating you should look for. 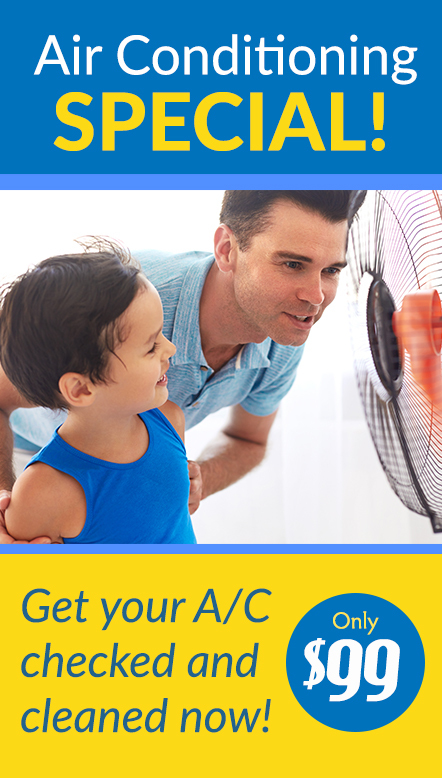 Consult a professional or use a BTU calculator to find an appropriate BTU rating for your home. The higher the BTU, the higher the cost of the furnace, so this measure will have an impact on the cost of your furnace. Installing a new furnace typically costs between $1,000 and $2,000. However, if extensive duct work is needed (say you bought a forced air furnace and your home doesn’t have air ducts) you will have to pay for ductwork as well, which can add thousands of dollars to your bill. Think It’s Time to Replace Your Furnace? Even though furnace replacement and new furnace installation are big investments, they are unfortunately inevitable. If you’ve seen any of the warning signs above, give us a call at 612-825-6867 or contact us for a free consultation or quote.